A builder who used an unlicensed waster carrier has lived to regret his decision. 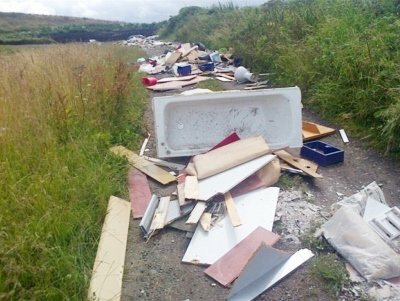 Instead of going to a council tip, the crew he hired to dispose of his builders waste simply dumped it on land off the A46, near the village of Norton Disney in Lincolnshire. But enforcement officials from North Kesteven District Council sorted through the dumped waste and found paper work that identified builder Phillip Partridge, 29, of Eastgate, Bassingham. Partridge was charged with offences under the Environmental Act 1995. Partridge claimed that although the paper work was his, he did not believe that the waste belonged to him. He said his normal procedure was to leave waste with clients. But Partridge then failed to give information about his clients to the council so they were unable to investigate his claims. He was found guilty in his absence at Lincoln Magistrate’s Court and fined £250. Costs of £381.48 and a victim charge of £30 were added to the fine giving a total of £661.48.